Some houses get me REALLY excited. Such as 701 State. This is house easily overlook. But do not be fooled by its current appearance. This is a FABULOUS house. 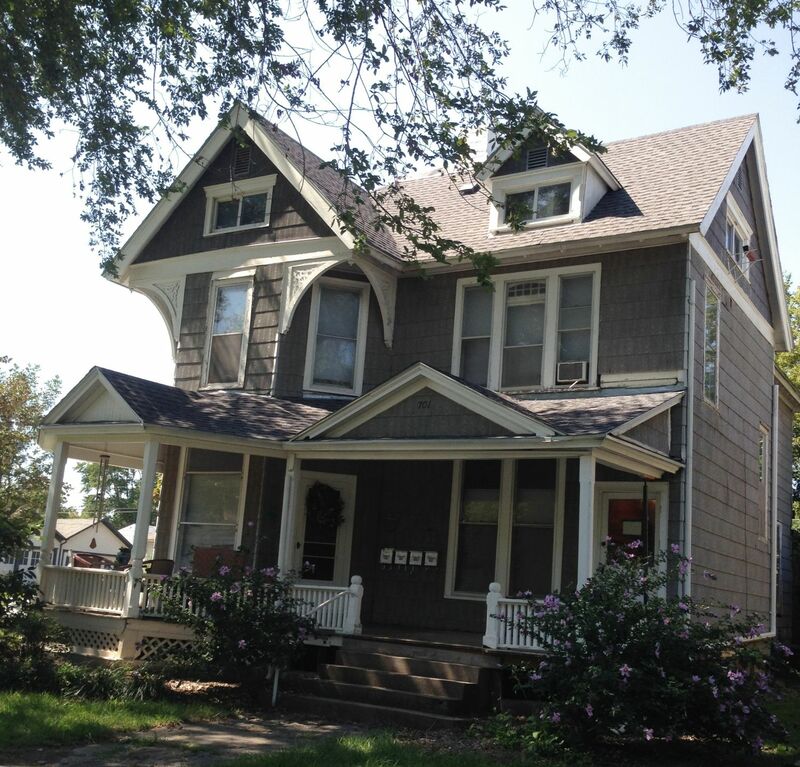 If the circa-1950s siding were removed, the missing bits of the porch reinstated, and original colors reintroduced, 701 State would STOP TRAFFIC. 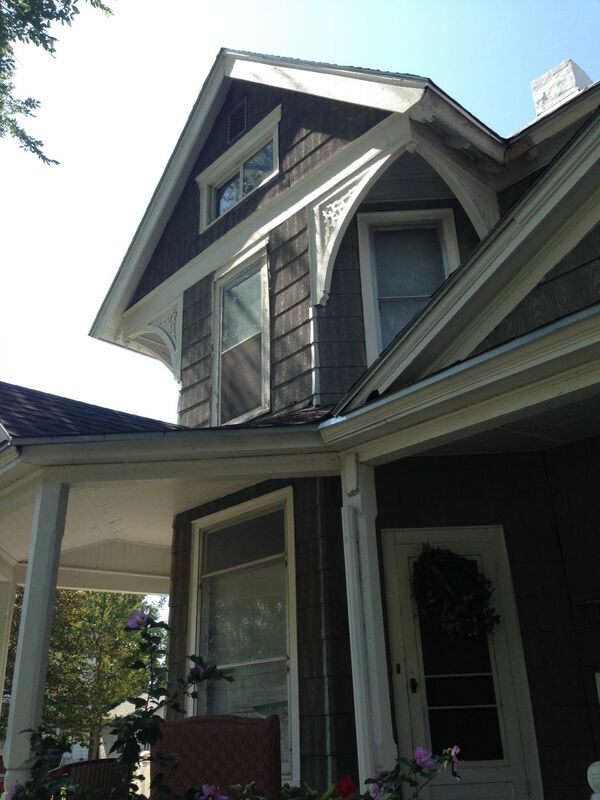 The siding is circa-1950. 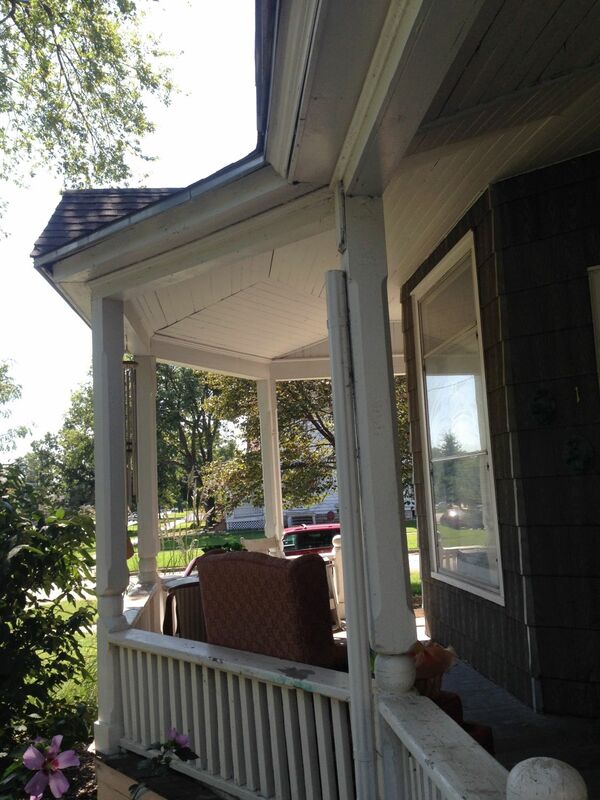 The porch columns are original; the railings are not, and other porch bits have gone missing. The house appears to now be divided into four apartments. What blows me away about 701 are these INCREDIBLE over-scaled brackets. Geez. Wow! …and there are more!!!!! Note the original lap-siding peeking out to the left. Why, hello! 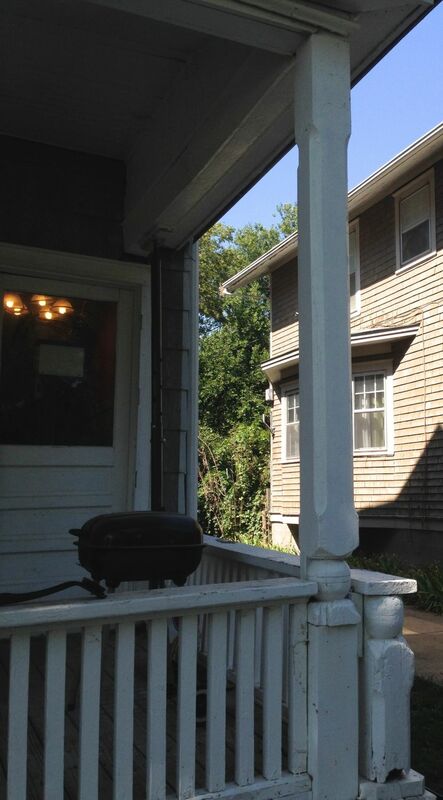 The porch columns are, surely, original. The railings are, surely, not. The upper parts of the columns would have had more, ah, bits. And between each column, at the top, would have, likely, been a horizontal fretwork. I yearn for an archival image. While not readily apparent in the image, the porch ceiling is not FLAT as is the standard but rather ARCHES up to follow the roof line. Very rare, and very cool in person. I would kill to get into 701. Well, maybe not kill, but I do greatly lust after the interior. On second thought, no, I really would kill to get inside. So, if the owner (or renters) are reading this, before I am forced into a life of crime, please know this: If you show me yours, I will show you mine. Um, I think the john mansville salesman was here with his asbestos siding. Major, expensive headache to get rid of it. Sad. No, not really. 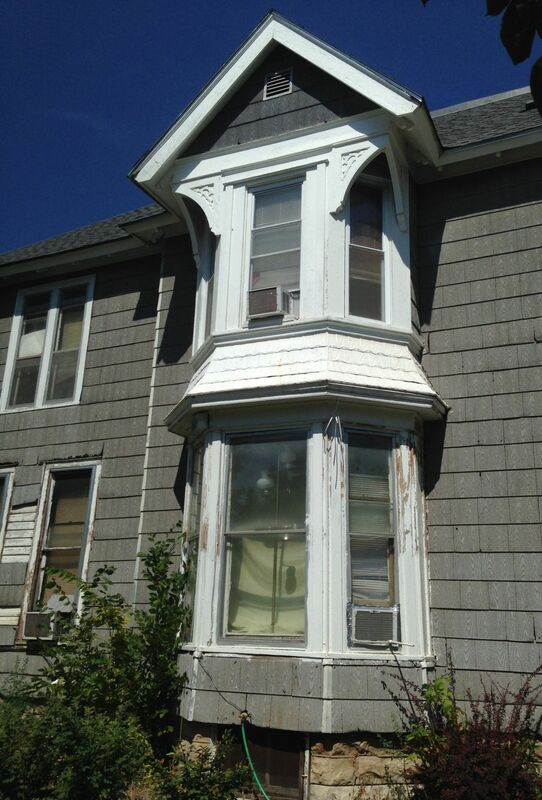 If the siding is carefully removed, with breaking it, it is safe to remove. I have done this before, and it is often actually easy to remove.